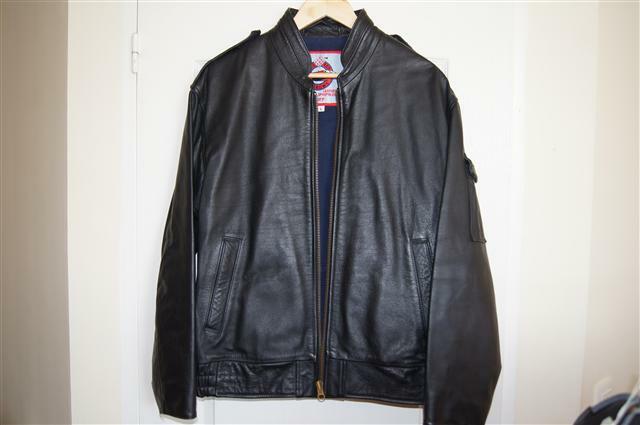 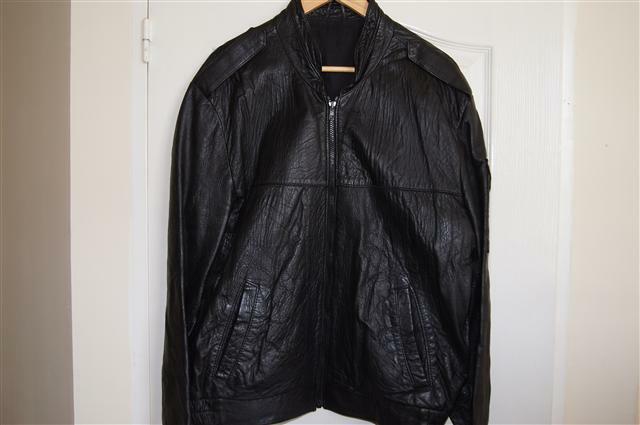 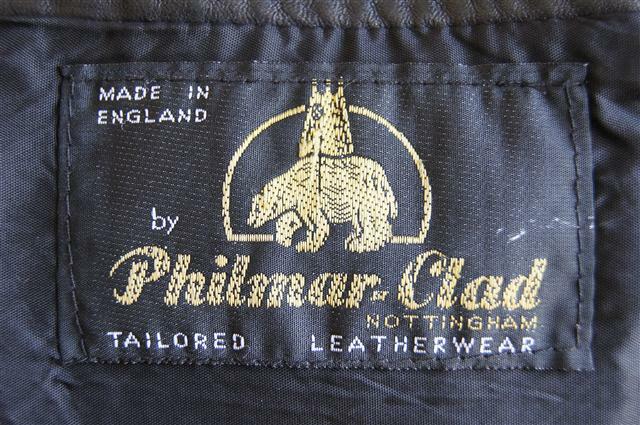 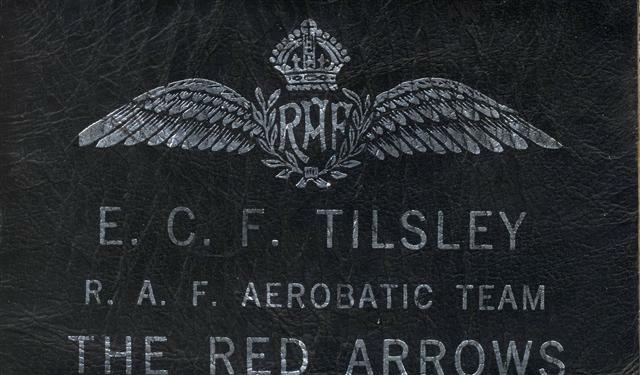 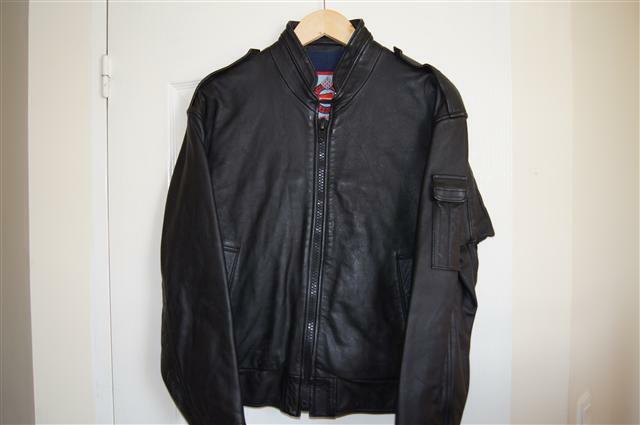 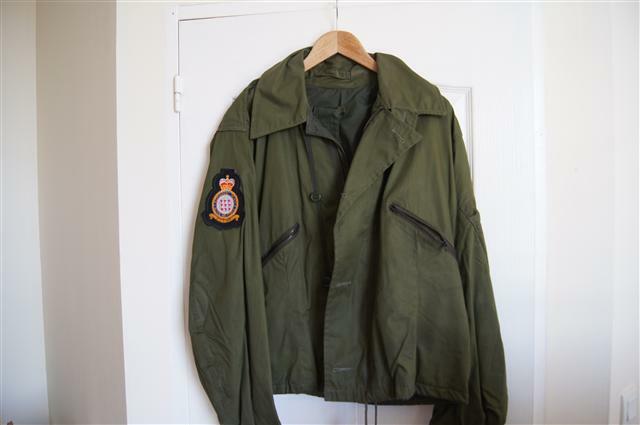 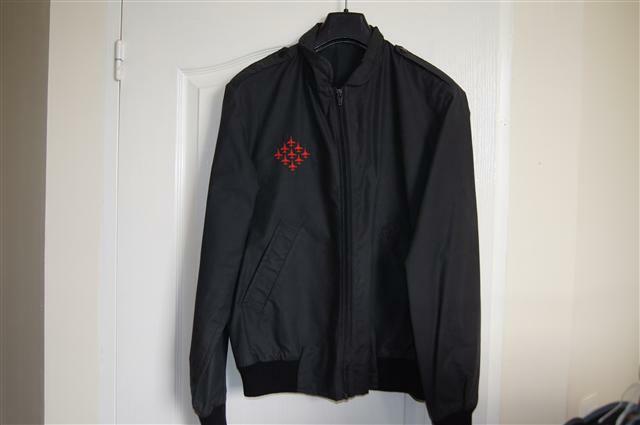 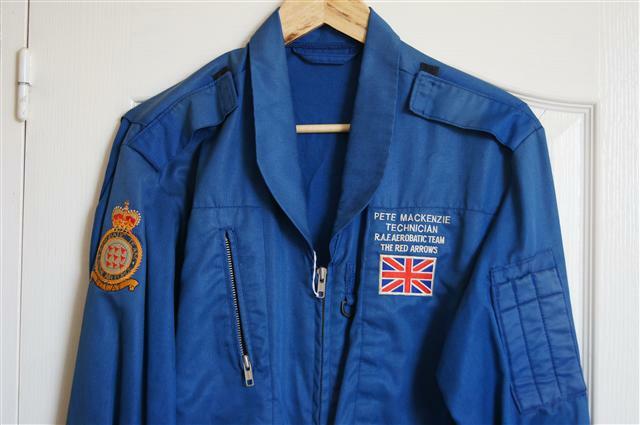 Eric Tilsleyleather badge from flying suit, or jacket. 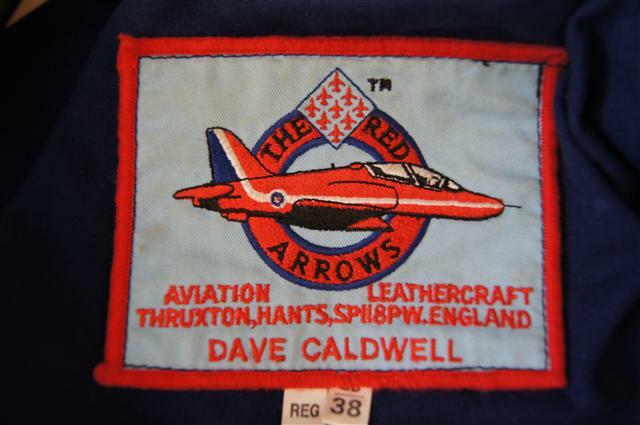 Eric flew No8 in 1965 (the teams first season) he was the teams only reserve pilot, and also flew as a solo pilot. 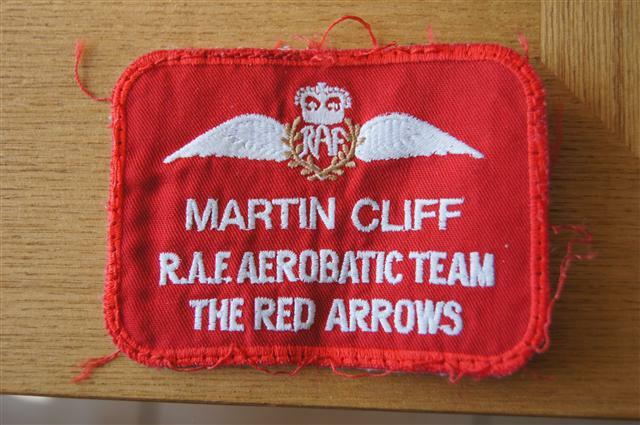 John joined the R.A.F. 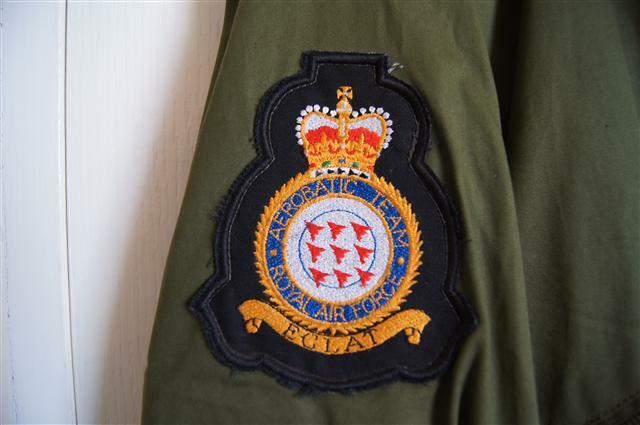 in 1978 basic training on Jet Provosts was at Linton on Ouse. 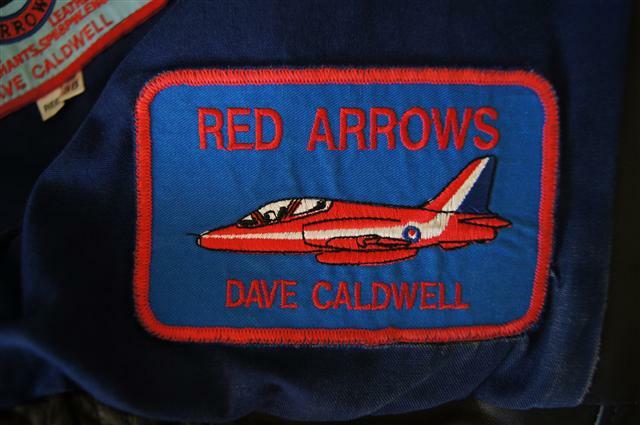 He then went onto the Hawk at Valley and Chivenor. 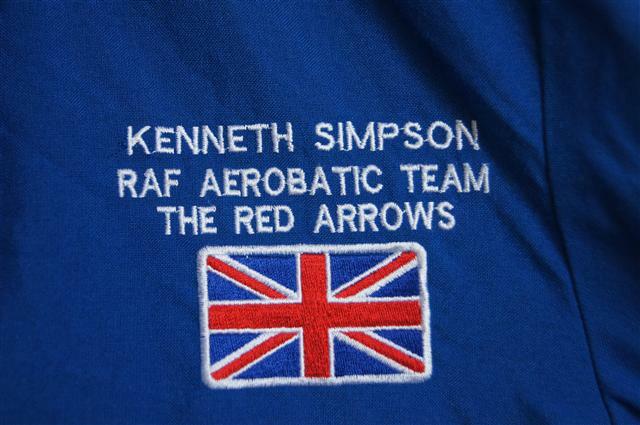 He was then posted to Binbrook on the Lightning Training Flight, his 1st tour was with 5 Squadron, he left Binbrook in 1986 to join the Red Arrows. 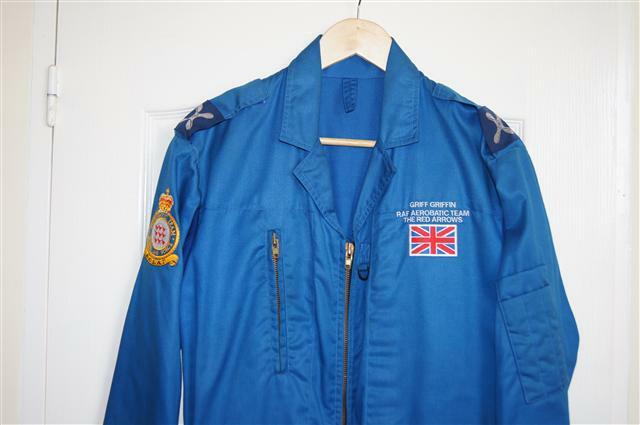 John flew No 8 in 1987, No7 in 1988, and lead singleton No 6 in 1989. 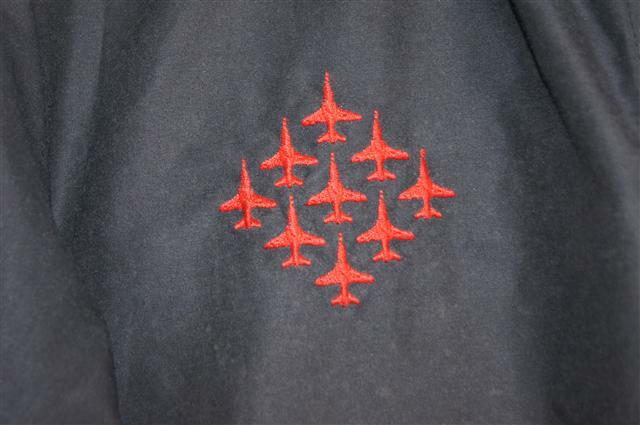 He then went onto the Harrier with 233 Operational Conversion Unit at Wittering. 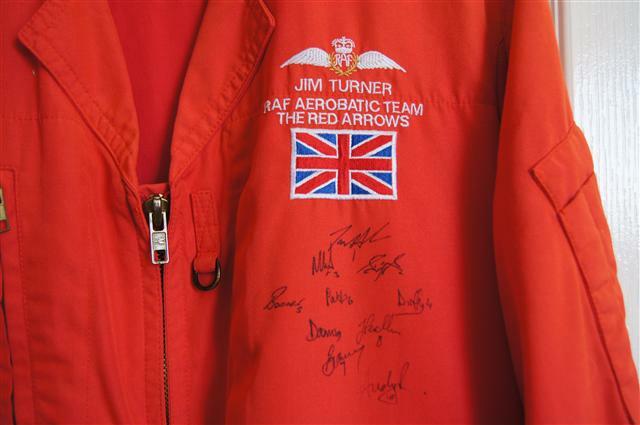 John then went to R.A.F. 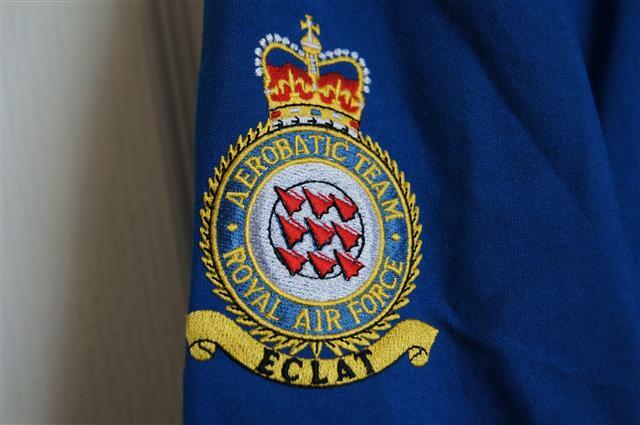 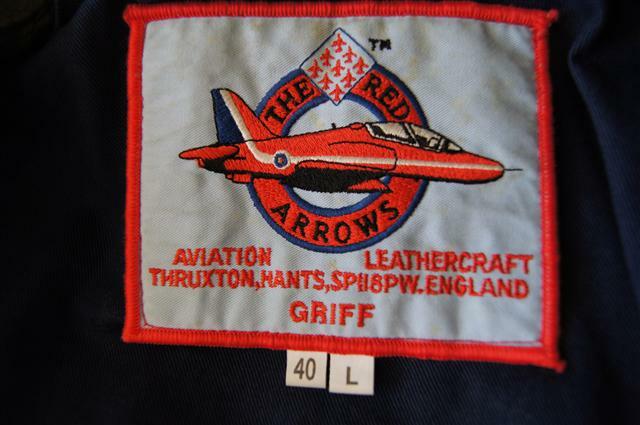 Gutersloh with 3 Squadron as a flight commander the Squadron was then moved to Laabruch. 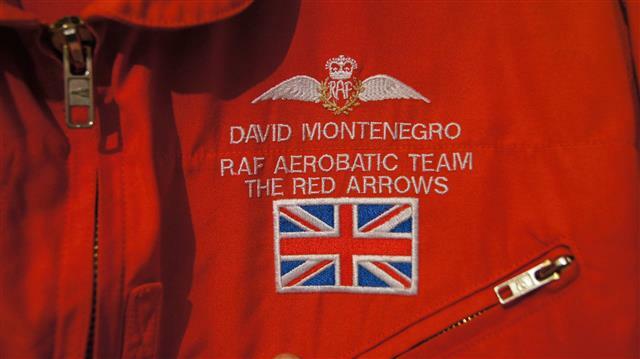 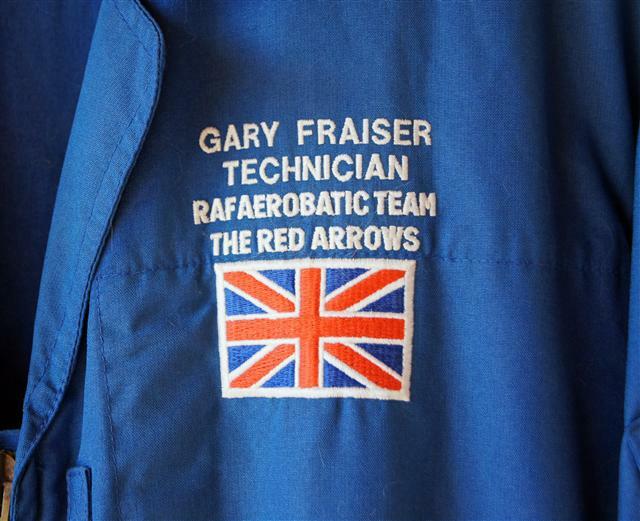 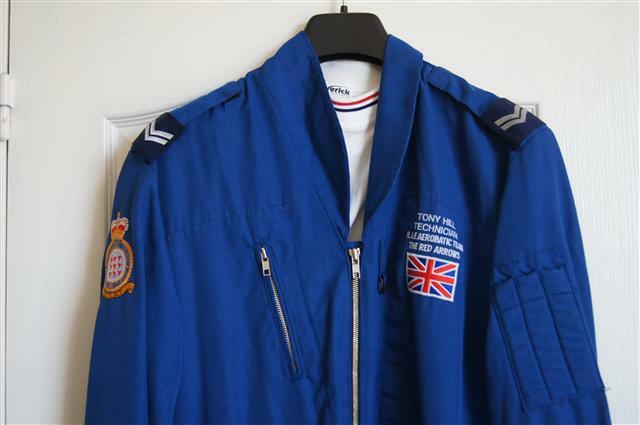 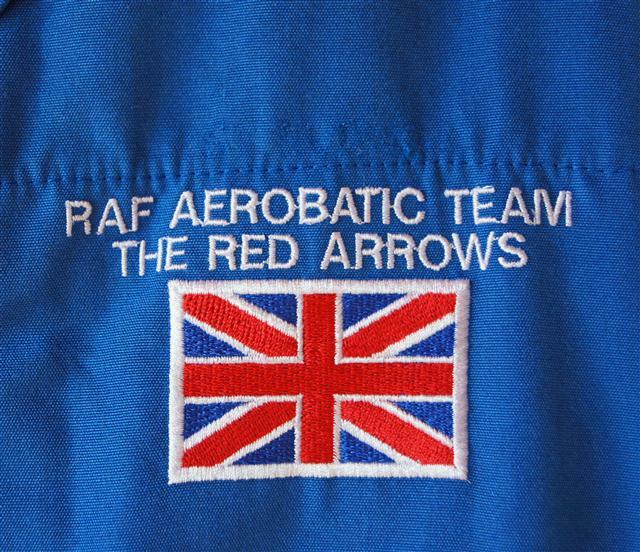 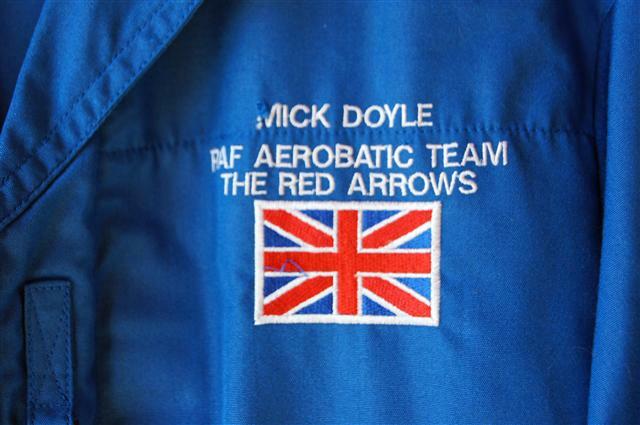 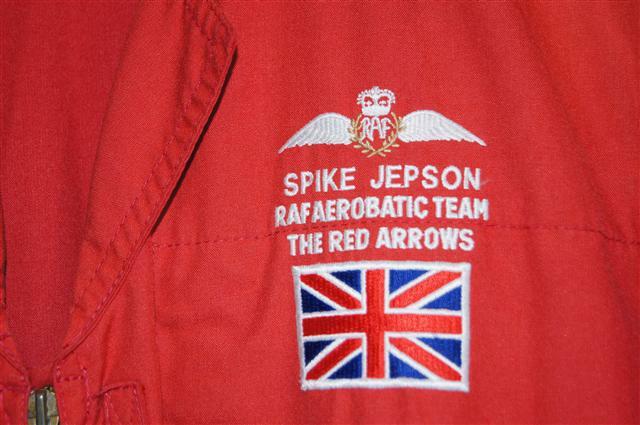 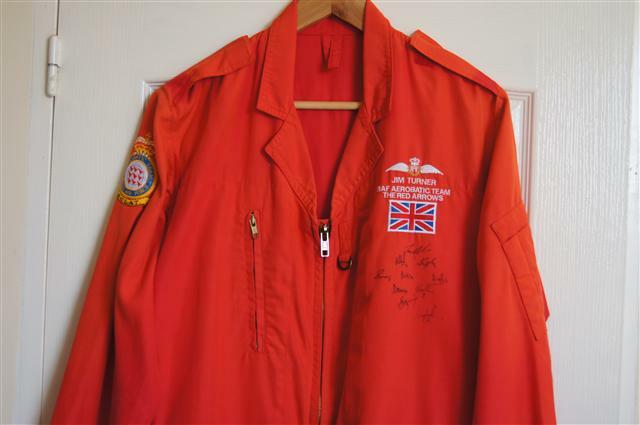 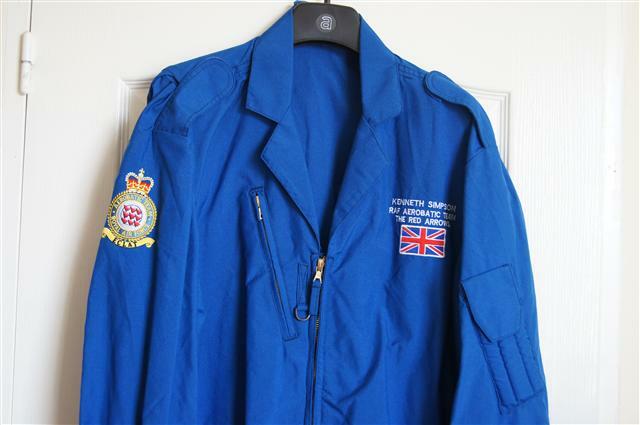 At the end of 1993 John returned to the Red Arrows as leader from 1994 to the end of 1996. 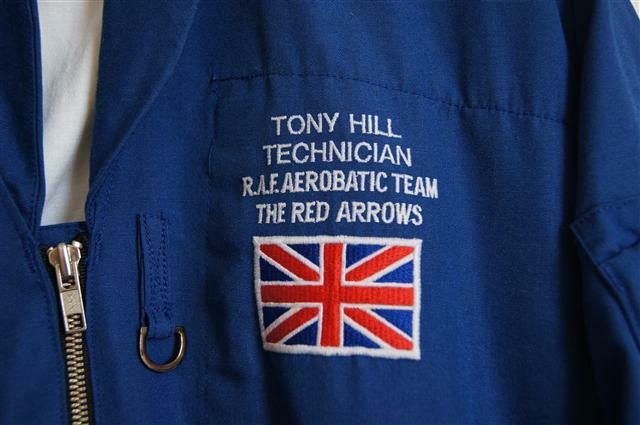 In 1996 he was the subject of an episode of 'This is your life', when the original target Ray Hanna got away. 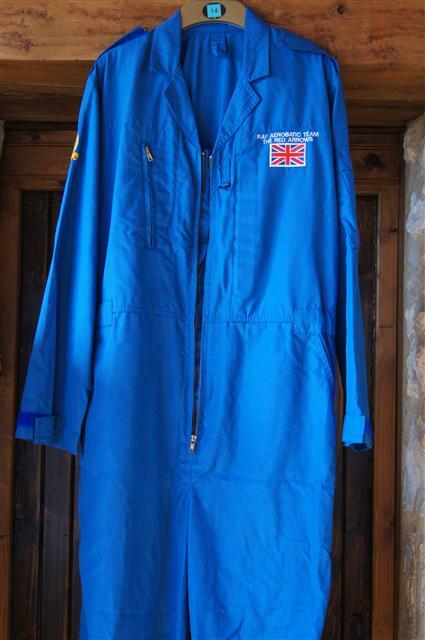 Pete Mackenzieblue suit. 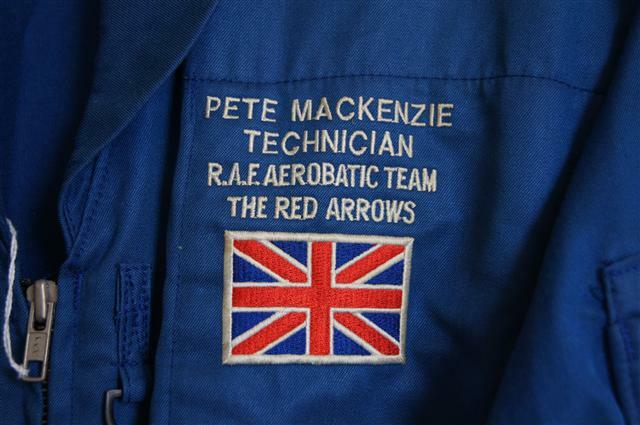 Pete joined the blues in July 1987 and left the team in 1996. 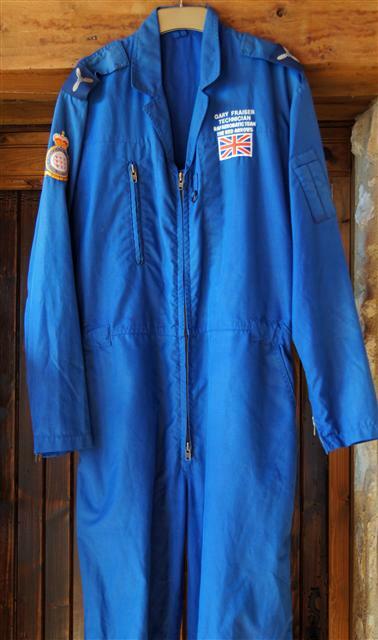 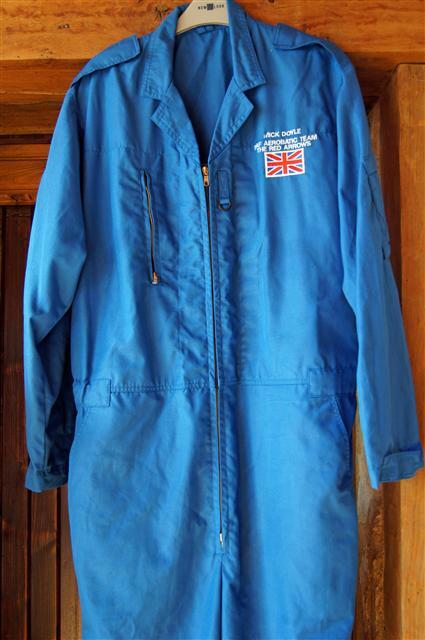 Tony Hill's blue suit. 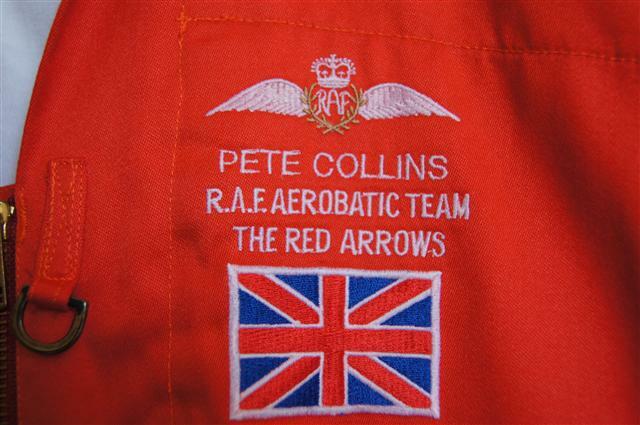 Tony was a circus member with Pete Collins. 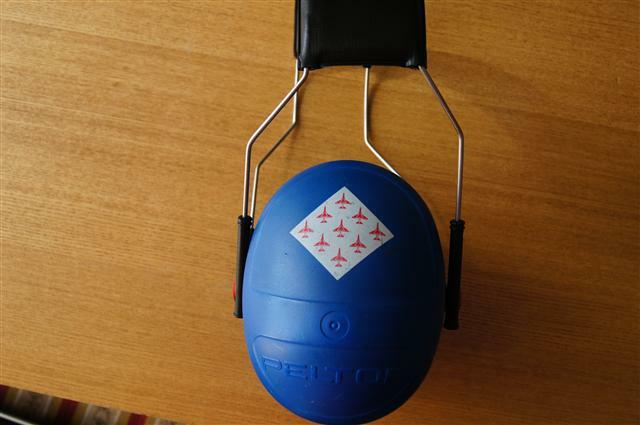 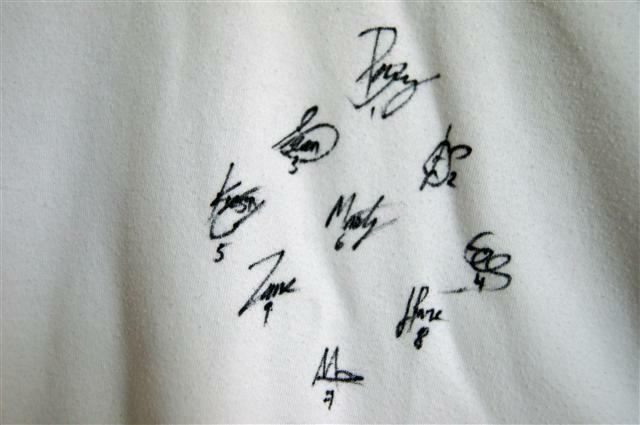 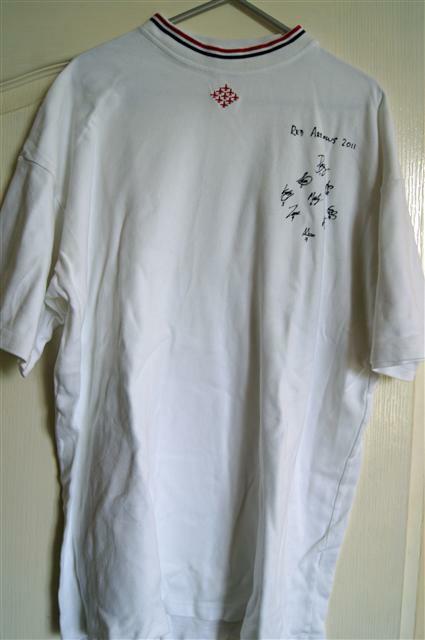 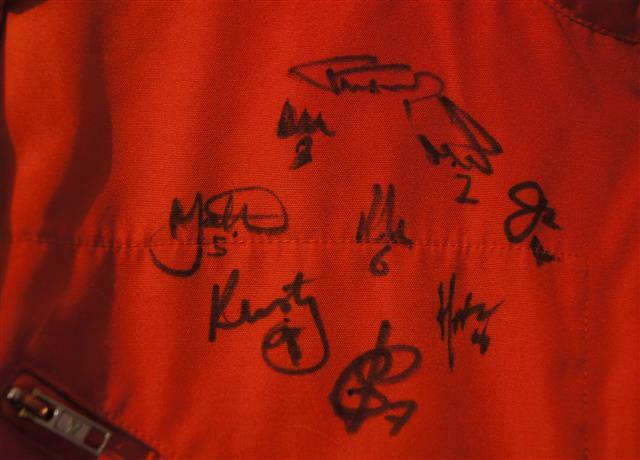 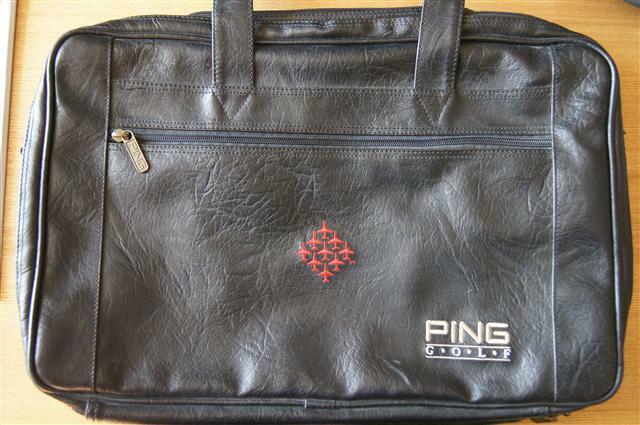 Document bag from Andy Lewis 1998-2000 team pilot. 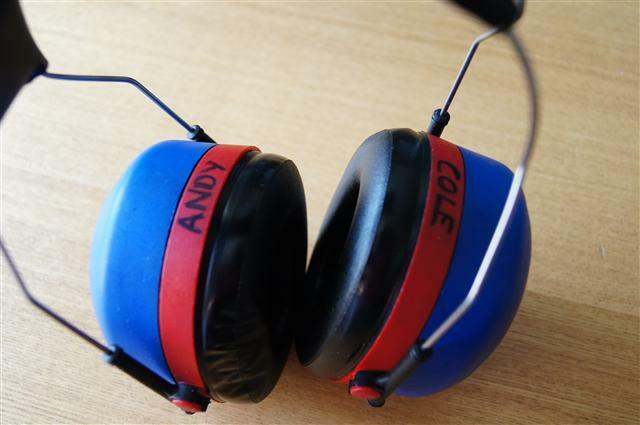 Andy Cubin. 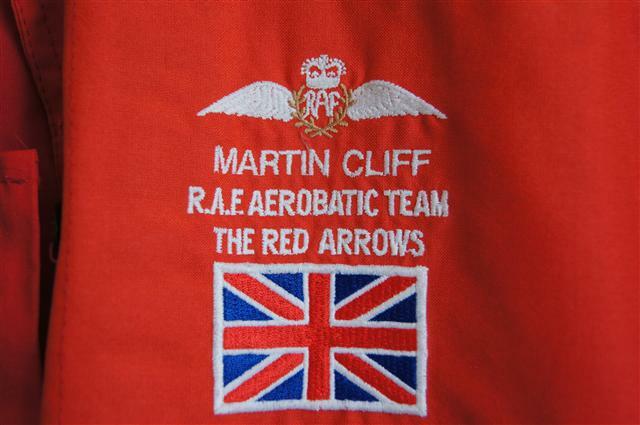 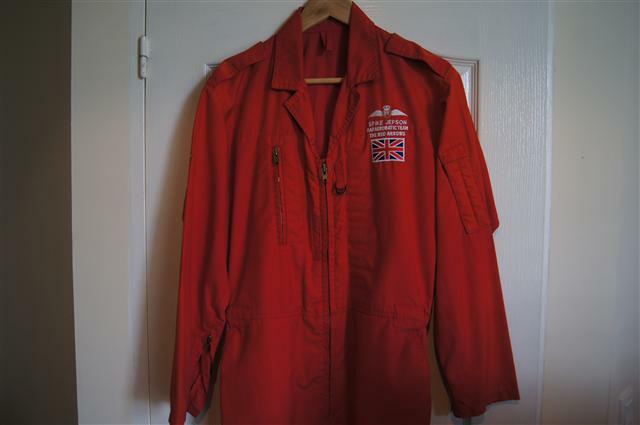 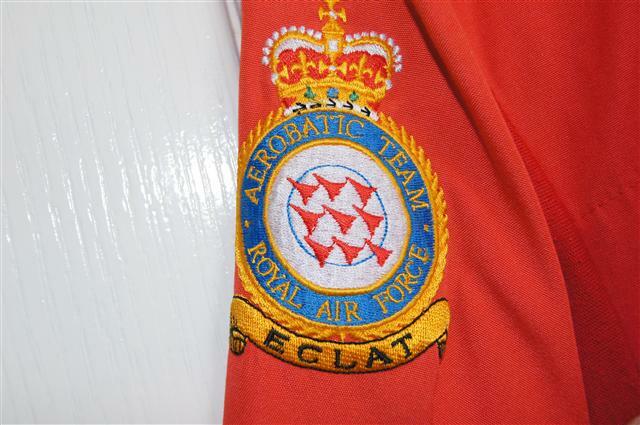 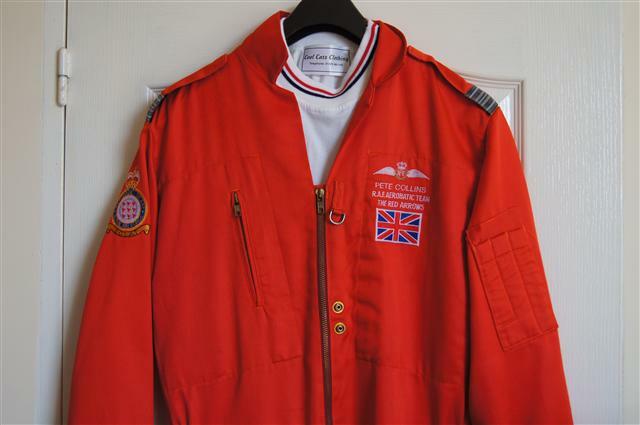 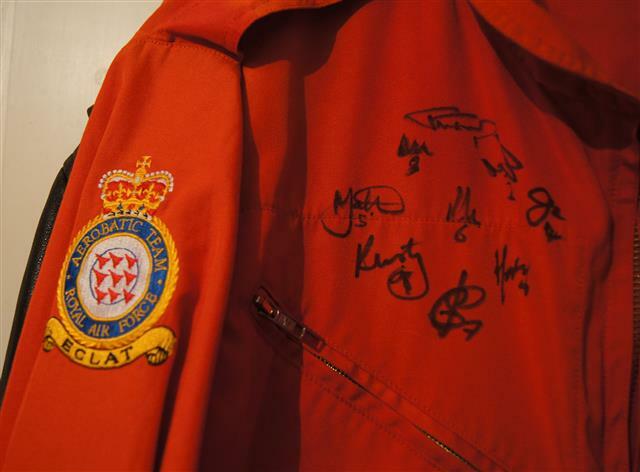 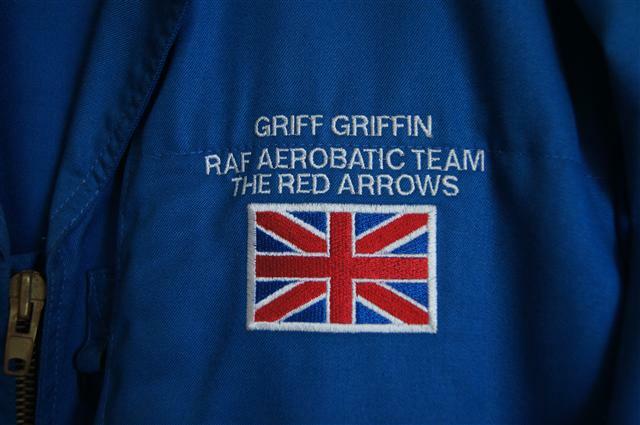 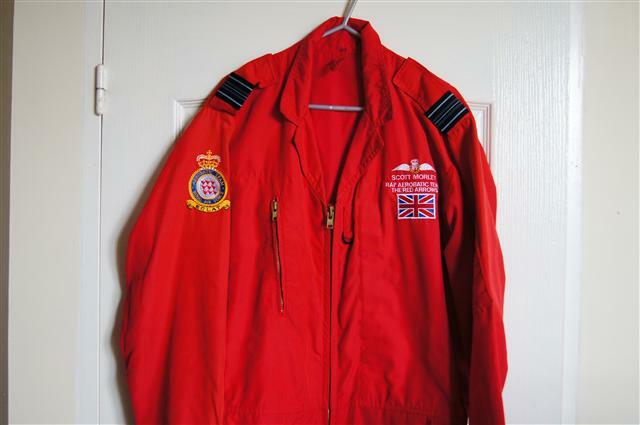 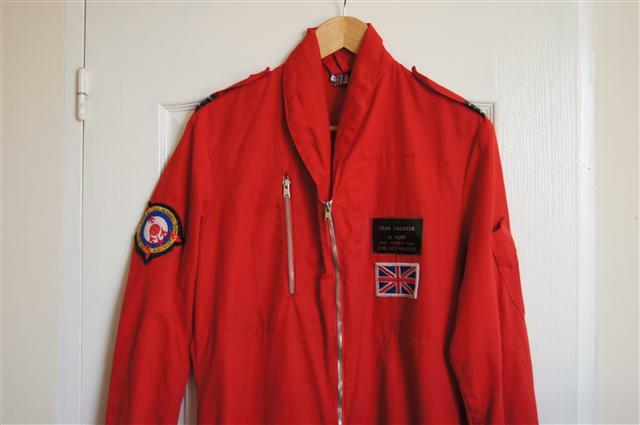 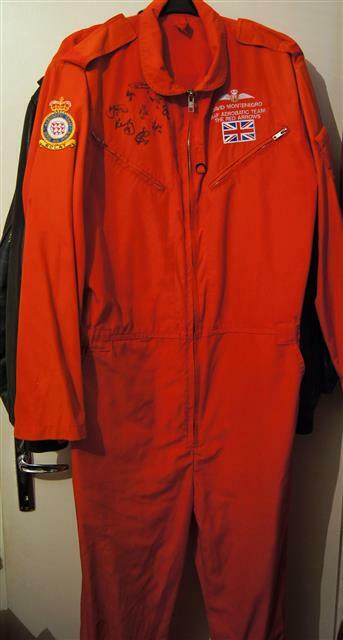 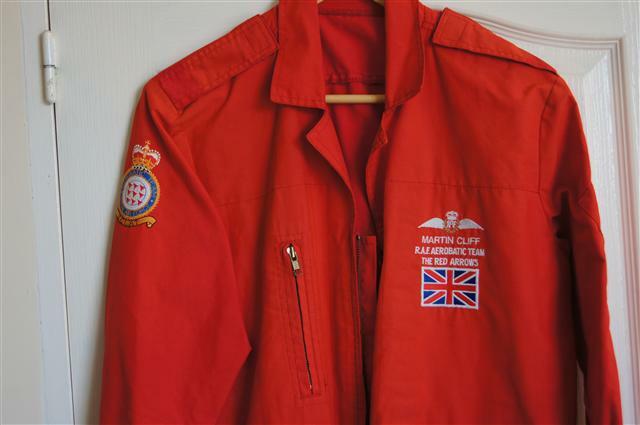 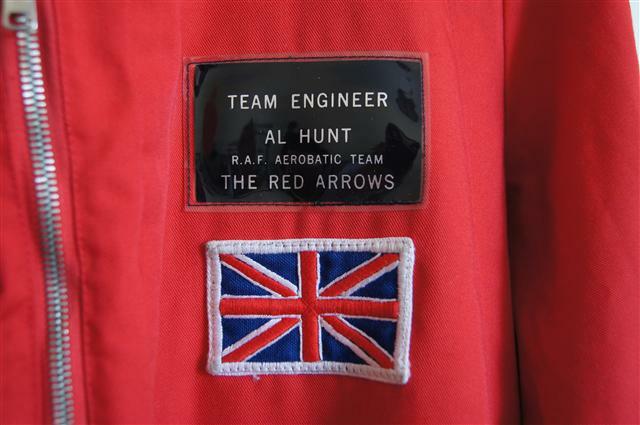 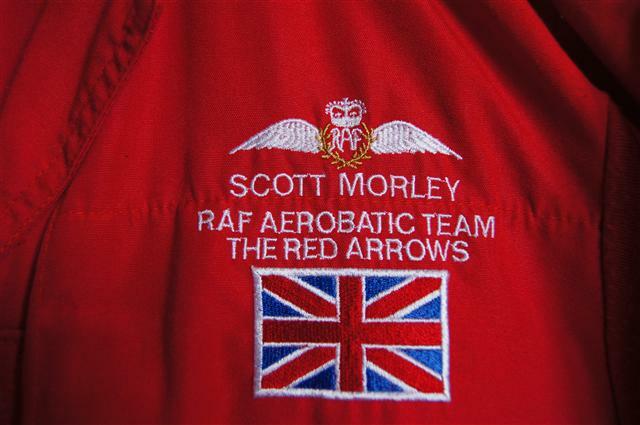 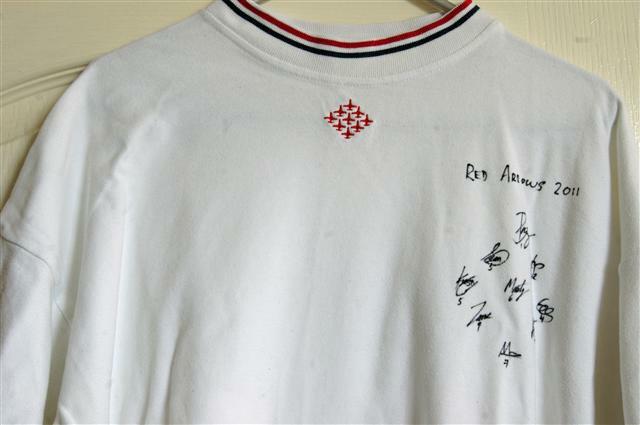 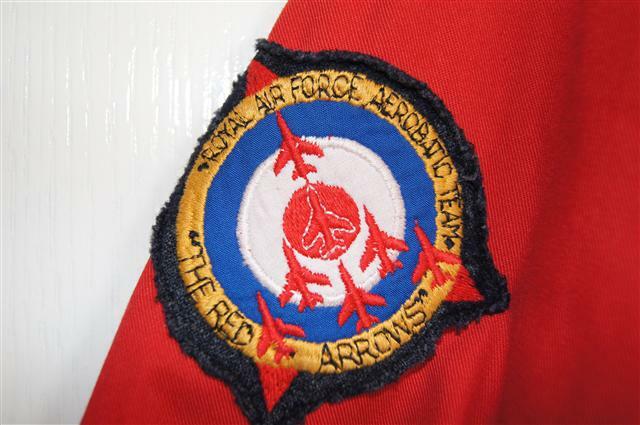 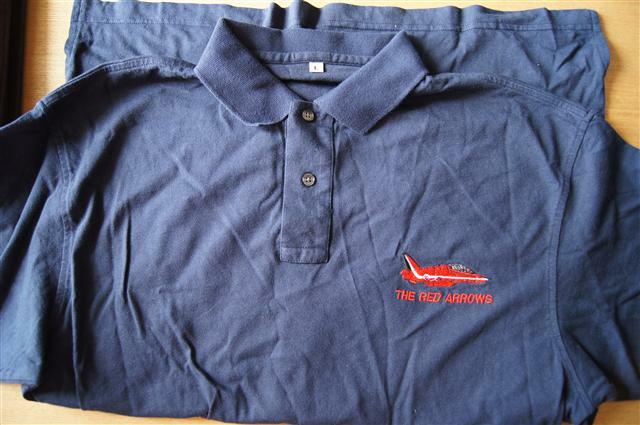 Red Arrows polo shirt. 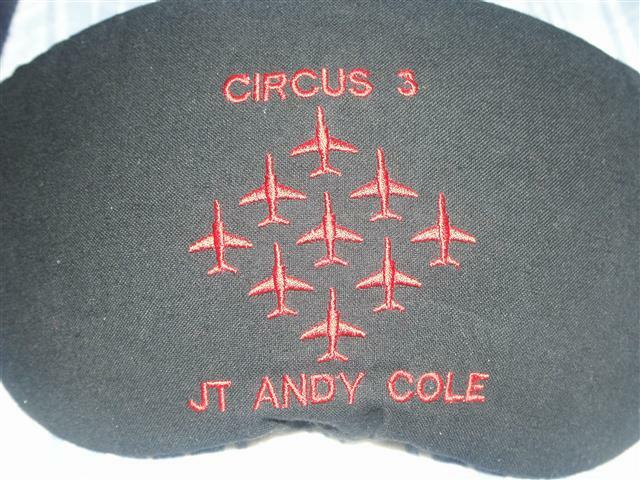 Junior Technician Andy Cole's Visor cover (with visor). 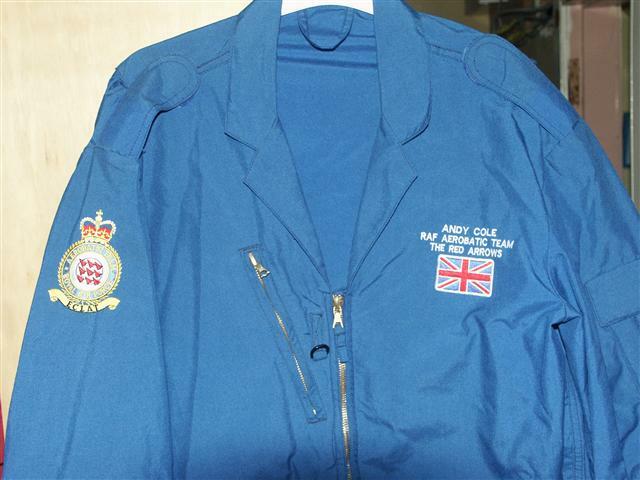 Andy was part of the 'flying circus' the group of groundcrew who fly in the back seats of the Hawk, enabling them to look after their aircraft, when it is away from its base. 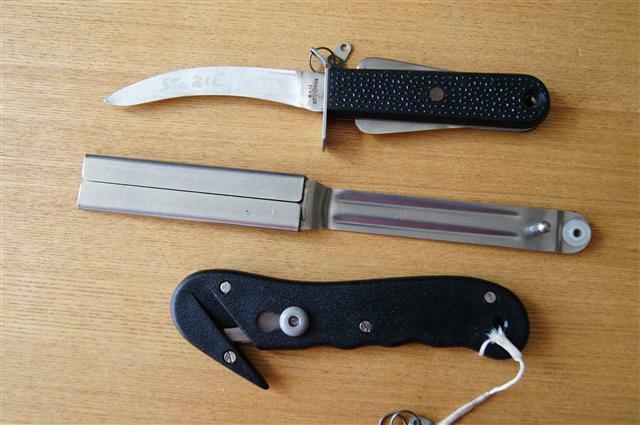 Survival knives from the Red Arrows, including Dave Stobie's knife.